The Sausalito hat is all about fun. Fun to knit, and quick, and fun to wear! 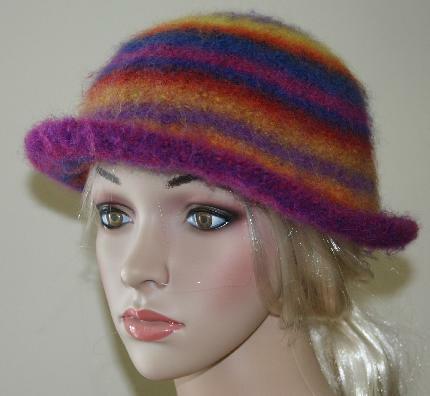 This stylish felted hat is knit from the top down and is made from one skein of self striping feltable yarn. 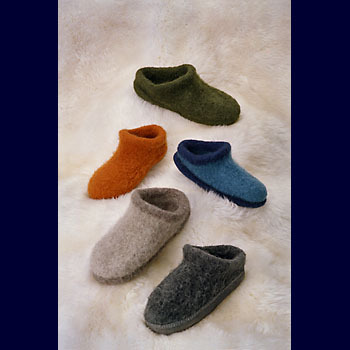 The finished size is determined by the degree of felting. Easy to knit we used just one 100 gram skein of Supersoft Merino by Acacia Yarns (shown in Rainbow). For an even more personalized hat decorate with felted flowers or other embellishments. One skein of Acacia Yarns Super Soft Merino (worsted weight).